Medical Scientist Dr. Joel Pardee created the N-MET formula for his family to RESTORE CALM & NATURAL ENERGY. The great success of N-MET encouraged him to share it with everyone. Dr. Pardee served on the faculty at Weill Cornell Medical College of Cornell University from 1982-2009, where he was Professor, Research Scientist, Associate Dean of the Weill Cornell Graduate School of Medical Sciences, and Associate Dean of Research. N-MET RESTORES CALM & ENERGY with NATURAL, PURE METABOLITES the Mind & Body Use Every Day. It is Safe & Effective For Both Children & Adults. Quickly see the difference or your purchase COMPLETELY REFUNDED. Join the hundreds of N-MET patrons who have reclaimed their NATURAL CALM & ENERGY with N-MET "For A Brighter Day". 100% Risk Free 90 Day Guarantee. Made in the USA in a FDA Approved Facility . All Natural & Hypoallergenic. FOR CHILDREN: I started using this product with my 8 year old son because he was having a lot of focus issues at school, causing frustration behaviors. It has gone better than I could have imagined! He is doing great! I give him N-MET 2 times a day. I really notice the difference when I forget to give it to him over the weekend! 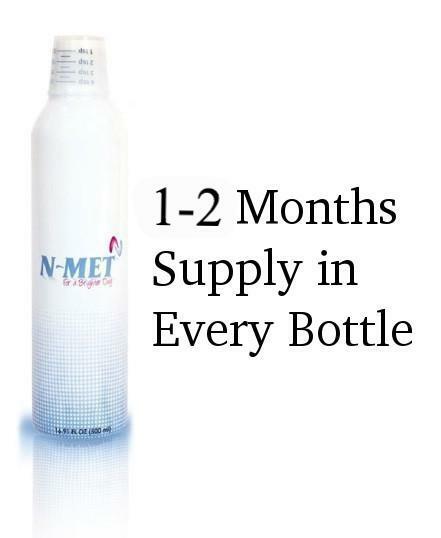 N-MET Formula Was Developed By A Medical Scientist To Promote A Long, Healthy, Confident Life. Questions For Dr. Joel? Email him at Drjoel@n-met.com for a private consultation. We Are Here To Help. *These statements have not been evaluated by the Food and Drug Administration. This product is not intended to diagnose, treat, cure, or prevent any disease. Individual outcomes will vary.